Julia and Martin both bring extensive experience and knowledge to Lloyd Ellis, through careers in museums, galleries, design and the visual arts. Julia has a BA in art history from Warwick University and an MA from the Courtauld Institute. 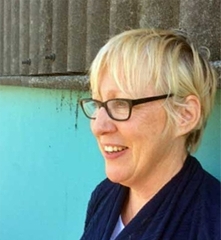 Having worked as a curator at Huddersfield Art Gallery, she was the founding director of Craftspace Touring, the international promotion and exhibition agency for contemporary craft. She subsequently became Chief Executive of MADE architecture and design agency before leaving to set up Lloyd Ellis in 2010. Martin has worked as a field archaeologist, museum curator, lecturer and broadcaster. He has been Keeper of Art at Blackburn Art Gallery, and subsequently Curator of Applied Art and curator of Aston Hall and, later, Principal Curator at Birmingham Museum & Art Gallery. 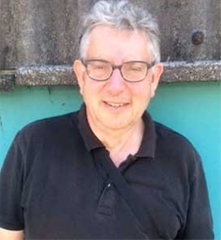 He was closely involved in the History of the World in 100 Objects project with the BBC and British Museum, and has since worked with Pier Productions, writing and presenting programmes for BBC Radio 4. He is an accredited lecturer for NADFAS, a Fellow of the Royal Society of Arts and a Freeman of the Worshipful Company of Goldsmiths.